Alliance Welcome Folders are ideal for visitor packets, membership materials, outreach campaigns and other events in the life of the church. Designed with a fresh Alliance identity and a brief description of the worldwide Alliance family, these folders can hold denominational resources, such as the Alliance Core and Water Baptism brochures, as well as flyers your church produces to promote its local ministries. The folder has space for a stamp or label with your church contact information and slits to hold a business card. Folded size is 9.25" X 4". Sold in packs of 50. 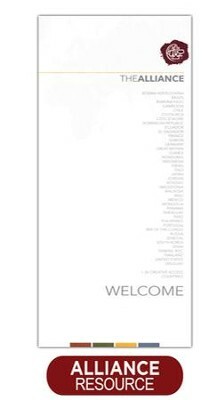 I'm the author/artist and I want to review Alliance Welcome Folder- Pack of 50.